I attended an information session this morning with representatives from these four schools. It provided a great opportunity for me to learn more about each of them so I can help my clients decide if these very strong out-of-state colleges could be right for them. One of the things all of these schools have in common is their strong Division I athletics and student support for their sports teams. You know about Clemson University’s devotion to their football team (apparently the team’s entering the stadium by “running down the hill” is “the most exciting 25 seconds in college football”), but you may not know about their unique programs, like packaging science, where students tackle the challenges of not only the engineering side of product packaging, but the business and marketing side as well. Clemson has the only undergraduate genetics program in South Carolina, and a production studies program that encompasses set design, lighting and sound design for the performing arts. Clemson admits students by major, and asks applicants to identify their top two choices, so that if they aren’t admitted to their top choice they can be considered for their second. Students can study abroad through any approved program and pay in-state tuition plus 10% for the time they are away. Clemson has about 14,000 undergraduates and the town of Clemson, South Carolina is a small college town in the foothills of the Blue Ridge Mountains of about 10,000 people. SAT scores of admitted students range from the mid-500s to the mid 600s. Georgia Tech has seen a dramatic increase in California applicants. About 55% of the students are Georgia natives, so out-of-state students will be in good company here. While almost 70% of the ~18,000 undergraduates are engineers (Georgia Tech is the largest producer of African American and Hispanic engineers in the U.S.), the business school has strong interest from undergraduates and strong support from alumni. Both the CEOs of WalMart and Coca-Cola are Georgia Tech alums, and Goldman Sachs funded a mock trading floor within the business school. There are four other colleges as well, with traditional humanities/liberal arts offerings. Georgia Tech’s campus is right in the middle of downtown Atlanta, an urban campus with an active co-op and internship program. Georgia Tech has consistently ranked high in the best return on investment for earnings over a lifetime and graduates here leave with about a quarter of the national average of student debt. 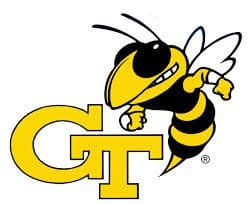 SAT scores for Georgia Tech admitted students are very high in Math, in the high 600s to mid 700s, and in the 600-700 range for Critical Reading. They do not admit by major. The first thing you need to know about North Carolina State University is that public universities in other states are not necessarily like the University of California/California State University systems. What that means is that you shouldn’t assume that the academic levels at the University of North Carolina (Chapel Hill) vs. NC State are comparable to UCLA (for example) vs. Cal State Long Beach (for example). They are not. UNC and NC State are both members of one state-managed university system. One difference, however, is that UNC is limited to accepting just 10% of its students from out of state, while NC State enrolls about 16% out-of-state students. 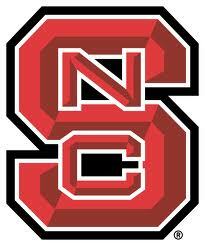 NC State has about 25,000 undergraduate students on a huge campus of over 2000 acres. 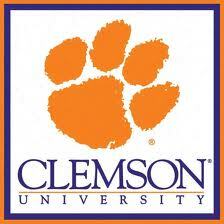 They have the #3 graduate veterinary program in the country, and the engineering programs are very strong. The business management undergraduate program is also very popular. The Research Triangle location gives NC State students abundant opportunities for jobs and internships. SAT scores range from the mid-to-high 500s per section to the low 600s; most admitted students are generally stronger in math. NC State has “village” living/learning communities and a First Year College for students who are truly undecided about their major. Founded as an all-male, all-military institution in 1872, Virginia Tech now serves over 23,000 undergraduates in the small college town of Blacksburg, Virginia. Architecture, business, natural sciences and agriculture-related majors are strong and popular here, and programs in industrial and interior design are often impacted, which means that students would be admitted to the university and would need to transfer into the department for upper division studies. Fourteen engineering programs are offered and Tech is well-known for many engineering disciplines. 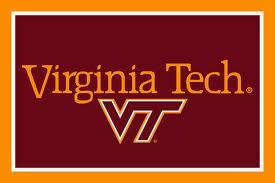 Virginia Tech admits by major, and asks applicants to offer two choices. SAT scores range from the mid/high 500s to the mid/high 600s. Virginia Tech is very proud of the over 700 student organizations that give students opportunities for leadership. They are also proud to have students from 49 states and 89 countries on their campus, bringing diversity in many ways. Virginia Tech students participate in Bridges to Prosperity, in which students have traveled to Haiti to build pedestrian bridges over rivers to improve the lives of residents. May 1 – Decision Time!